Dicentra spectabilis is also known as bleeding heart. 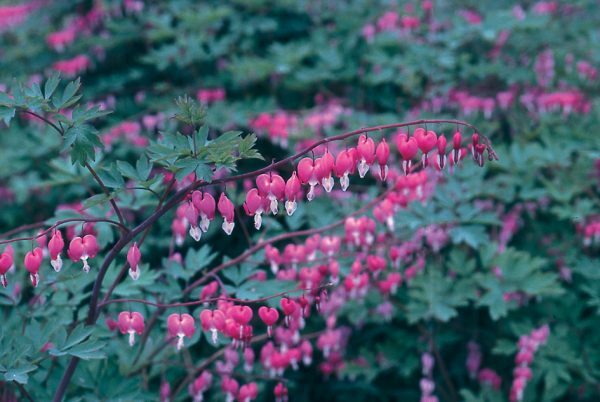 Dicentra spectabilis or Bleeding Heart are also commonly known as Lady in the Bath. Dicentra spectabilis is a superb garden plant and has masses of pink flowers on slender gracefully arching stems. Dicentra spectabilis or Bleeding Heart are also commonly known as Lady in the Bath. Dicentra spectabilis is a superb garden plant and has masses of pink flowers on slender gracefully arching stems. Dicentra spectabilis are very showy plants and will bring a mass of colour to your garden. 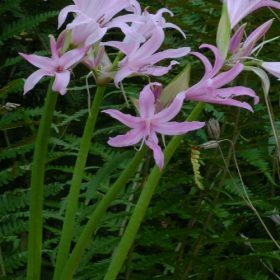 Dicentras are easy to grow and are very showy plants and will grow in shady areas. 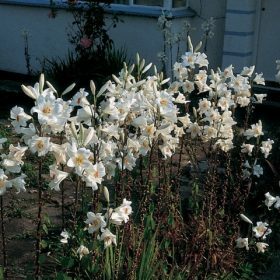 They prefer a light well-drained soil. 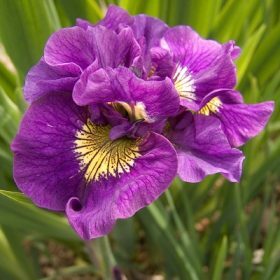 In heavy soils, just add grit and sand to lighten it up. Cultivate soils to a depth of 20cms and add some well rotted manure or granular fertiliser to the soil when cultivating. Plant the roots so that the tops are 8 to 10cms below the soil surface. Cover with soil and firm around roots gently as roots can easily be broken. Leave to establish for a few years and then In subsequent years they can be divided in late autumn or early spring. Best left to naturalise for a number of years, they are winter hardy but would benefit from mulching over winter. Soil type: Light soils, however in heavier soils just add grit to give the drainage. 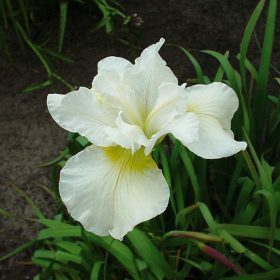 Harpswell Happiness is part of the sibirica family of iris and has pure white flowers with a touch of yellow at the petals base. Each stem will grow to 60-90cm high and can produce between 2 and 5 flowers per stem. 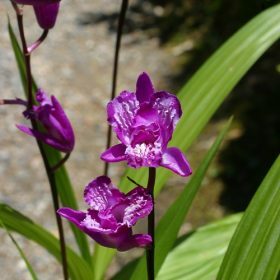 Bletilla striata Trilips has flowers that are a lovely purple with white inside the lips. 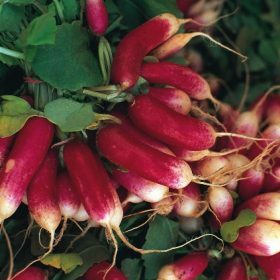 Half long, bright red small tips, this variety can be used for forcing, A very popular variety which is ideal for the lunchbox. 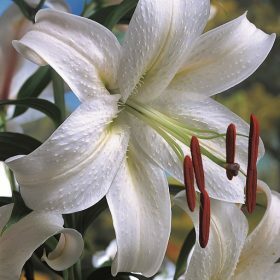 Candidum is one of our most popular lilies, commonly known as ‘The Madonna Lily’. The flowers are white with yellow stamen’s and very fragrant. A superb vivid dark red begonia, we like to supply large 6/+cm tubers as they produce a mass of colour throughout the summer.